I can’t help, but ♥ french macarons. Just a dab of frosting sandwiched between two meringue cookies; these tasty little treats are so cute, delicious, and simply irresistible. 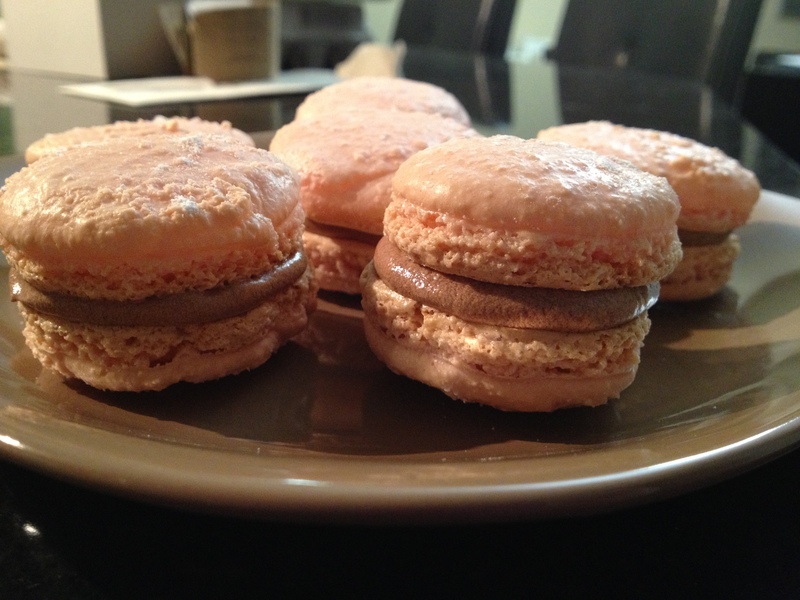 The first time I tried to make macarons, they turned out so badly they almost destroyed all the confidence that I’ve ever had in my baking skills. They were just one big bubbly, gooey mess. It was really sad.. In retrospect, I probably should’ve looked at more macaron recipes first, instead of using the very first recipe that I could find. The problem is that you need very clear instructions, and a lot of recipes don’t give you that. As I casually browsed for “french macarons” on YouTube one day, I stumbled upon a very helpful video by lovelyladycakes. Her How to make French Macarons video is really easy to follow. I appreciate her enthusiasm and how she genuinely seems like a happy person – who doesn’t like happy people? I’ve been using her recipe as the base recipe for other flavored macarons that I’m currently experimenting with, and I’m finding that the base recipe is working out very successfully. 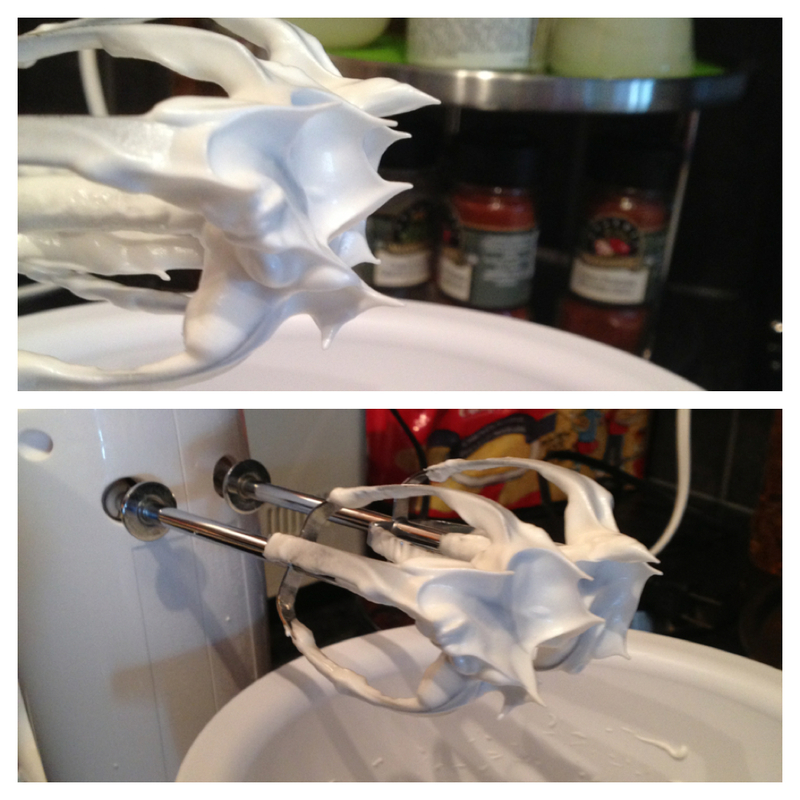 When whisking the egg whites and fine sugar, you absolutely must whisk until stiff peaks form. Otherwise, your batter will be runny and your macarons won’t rise. I don’t have a fancy standing mixer so I just make do with my cheap handmixer. Whisk the egg whites on medium-low speed for about a minute, then turn the speed up to medium-high to whisk for 2 minutes. The egg whites should look fluffy and smooth by now. Gradually add fine sugar to the egg whites while whisking for another 2 minutes. Stiff peaks should be achieved at this point. However, if you find that the peaks aren’t quite stiff, then whisk for an extra minute on medium-high. Piping the macaron batter takes some practice. Be patient! Try to pipe small rounds that are just about 1 inch wide and at least 1/2 inch apart. You don’t want them to stick to each other. Take your time to perfect the base recipe. Don’t expect to get it right the first time, but definitely don’t give up because once you get it right, you’re going to feel like a million bucks. So, go! Get lots of practice until you’re comfortable enough to start making different flavors. 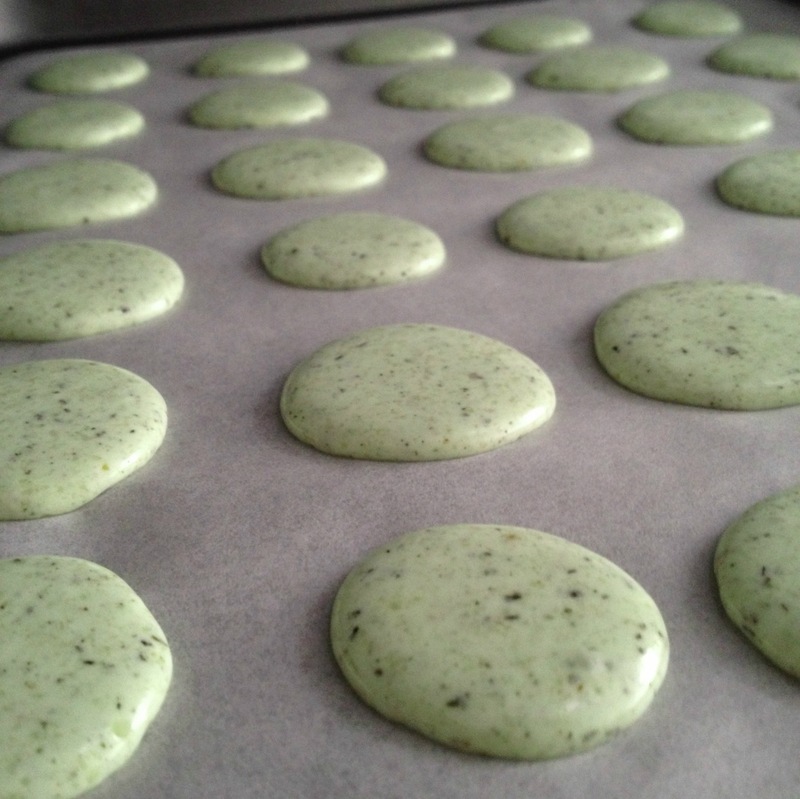 I’ll be sharing some macaron recipes in upcoming blog posts. Stay tuned! Categories: art, baking, cute things, deliciousness, eating, edible art, food, french macaron, learning, recipes, trying new things | Tags: baking, baking tips, deliciousness, edible art, food, french macarons, learning, macarons | Permalink. I often avoid using things such as oil and butter when I cook. The good thing about chicken is that a lot of its natural oils come out when you start cooking it – especially when you’re cooking chicken thighs or wings. I’ve been cooking chicken a lot lately. I find that it’s really hard to mess up chicken dishes even when you put in very little effort. I was feeling lazy one evening and created this easy recipe below. Debone the chicken drumsticks and cut the chicken into strips. Marinate the chicken with salt, pepper, thyme and basil for about 30 minutes. On medium to medium-high heat, grill the chicken with lemon juice in a skillet for about 10 to 12 minutes. Keep stirring the chicken so it doesn’t burn. (Optional) Garnish with a bit of parsley. I tried this recipe with chicken wings and it was really good too. TIP: If you plan on using the oilier parts of chicken, such as thighs or wings, I highly recommend using a deep skillet so that you won’t get a lot of oil splattered on you. Categories: chicken, cooking, deliciousness, eating, food, learning, life, om nom nom, recipes, tips, Uncategorized | Tags: chicken, cooking, cooking tips, eating, food, foodie, home cooking, learning, lemon, pepper, recipe, recipes, yum | Permalink. Man, I ♥ Korean food.. I could probably eat it everyday and not get bored of it. My mother came up with an amazing recipe for Korean style BBQ beef short ribs. And because I believe that good things are meant to be shared, I’m sharing this recipe here. Mix all the ingredients together in a large bowl to marinate the short ribs for 30 minutes. In a large skillet, grill short ribs for about 1 to 1 1/2 minute on each side. 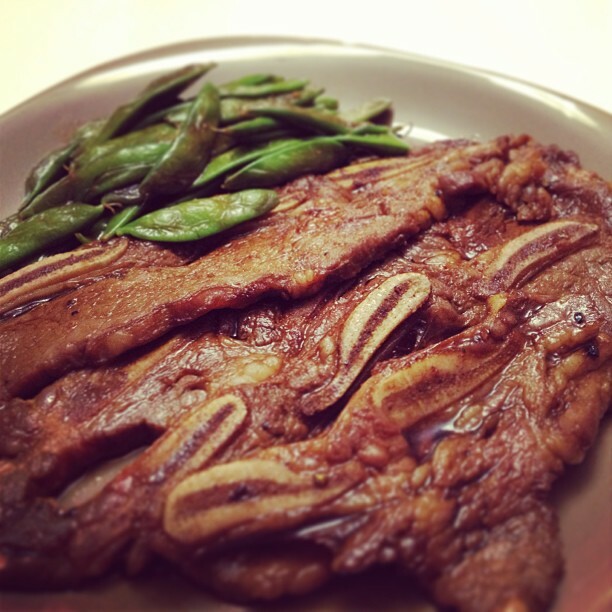 Categories: cooking, deliciousness, eating, food, learning, life, om nom nom, recipes, Uncategorized | Tags: beef, cook, cooking, deliciousness, eat, eating, food, Korean food, recipe, short ribs, yums | Permalink.